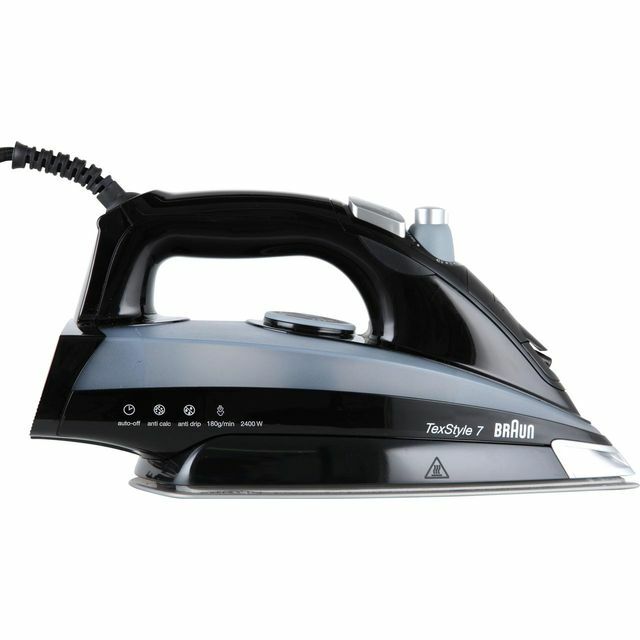 Smooth away creases effortlessly with this high performance steam iron from Braun. It’s equipped with a scratch-resistant Eloxal soleplate that’s 2 x harder than stainless steel – so it’s durable and glides over fabrics with ease. With 2400 Watts of power, this model heats up quickly. A 180g/min steam shot makes light work of wrinkles and tough creases, leaving garments flawless. The precision tip makes navigating pleats and buttons easy, releasing steam right up to the tip for great results in tricky areas. 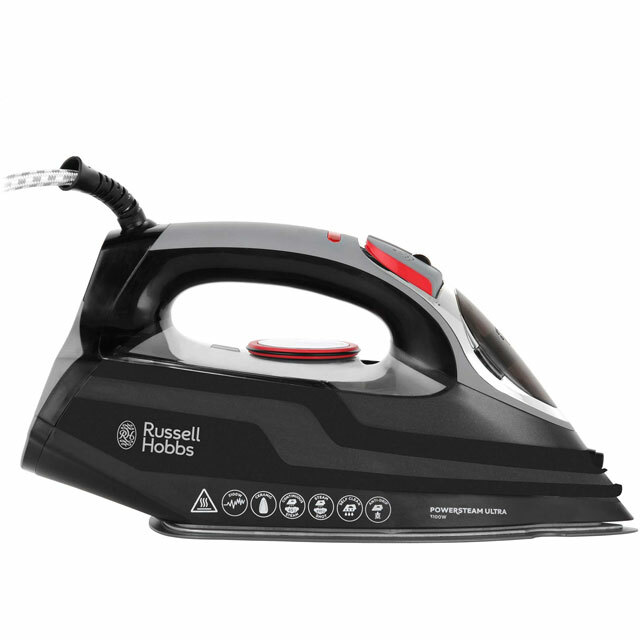 The anti-scale feature prevents limescale build-up, prolonging the lifespan of your iron. 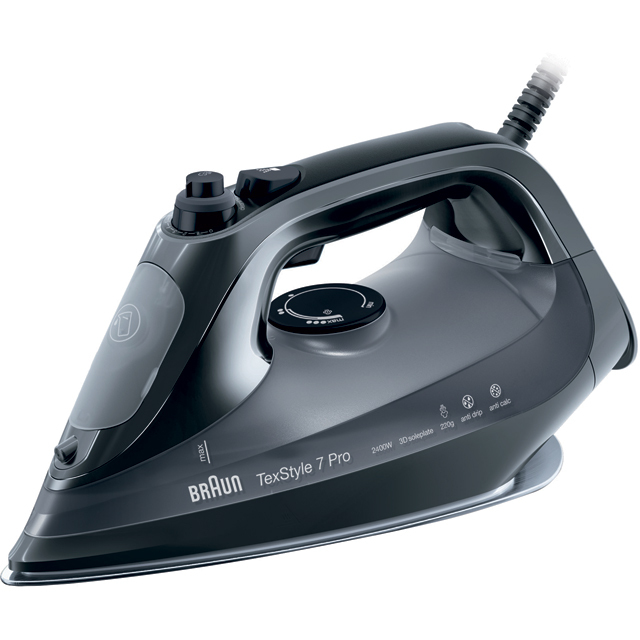 This Braun iron will glide over any fabric type effortlessly thanks to the elite Eloxal Soleplate. A special anodized coating makes this soleplate twice as hard as stainless steel – which means it’s incredibly durable and scratch-resistant, so it’ll never snag your fabrics. The ultra-smooth surface allows the iron to move across your garments with no resistance, removing creases for a flawless finish. 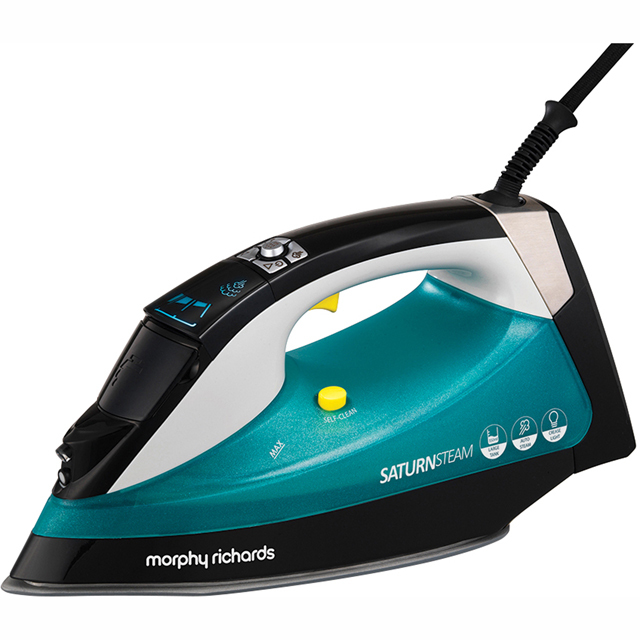 With a steam shot of 180g per minute, this iron will easily remove persistent wrinkles from garments. It blasts steam into the material to help get rid of tough folds in heavy material, such as denim. Braun’s precision tip gets rid of even the toughest of creases. 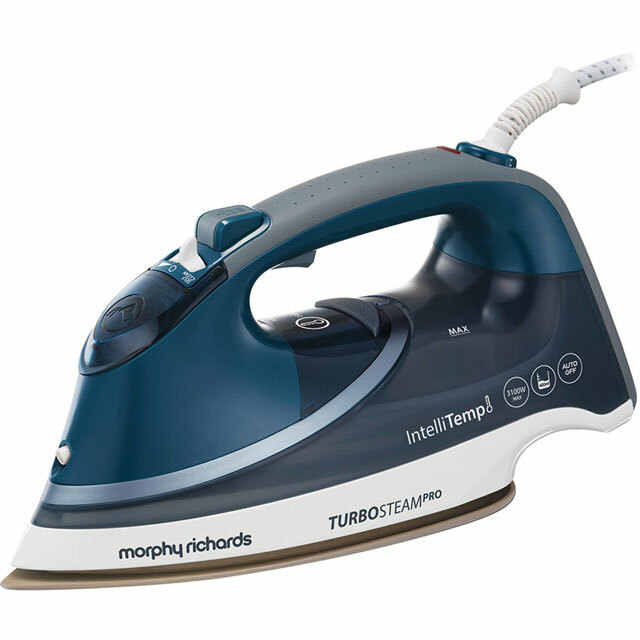 It releases steam right to the tip of the iron, so that all creases are easily removed. The tip gets into all of the hard-to-iron places, like between buttons and around pockets and zips – so it will give you the accuracy for the perfect finish. We have had this iron before and it lasted many years. It was so good we just wanted the same iron again. Fully recommend. Lovely smooth results. This is a fab iron! Heats up quickly, it is light to handle and looks nice aswell. I iron a lot of shirts and small children’s clothing and there iron has a really good point to it so I can get into the edges without messing up the rest of the item! Can’t complain! I purchased the iron mainly due to the good reviews and am pleased to say the iron works really well, especially the steam function. The only slight downfall is that the iron is quite a bit heavier than my previous one. Study and smooth to use, good steam function. Holds a good amount of water. Some may think it’s a little on the heavy side when completely full, but you can alway just half fill it to keep it light. Heats up fast, steam is effective on very dry shirts! Not to big and looks great, great value for the money. I bought one for myself and I love it best iron I’ve had very effortless! My mother used it and loved it so I bought her one too!